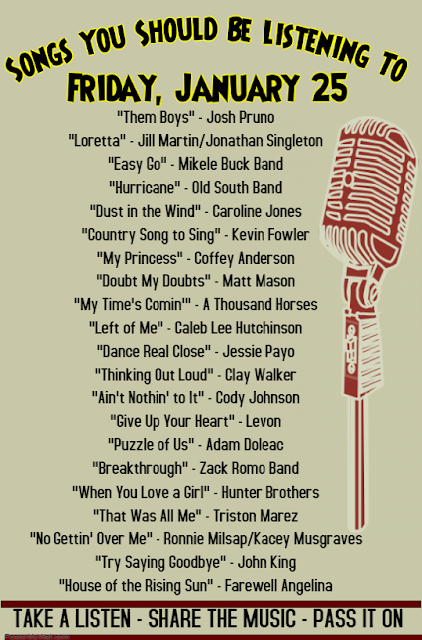 If you're looking for new artists or songs and you're getting tired of the same old Top 40 repetition on today's country radio, check out these names you may or may not be familiar with. Some songs listed are new, some may have been out a little while, but good music doesn't have a shelf life. If you find yourself liking someone, follow them on social media and let them know you enjoy their music. Please be sure to talk about and share any of the songs and artists you like on this list. I'm sure they'd appreciate it!